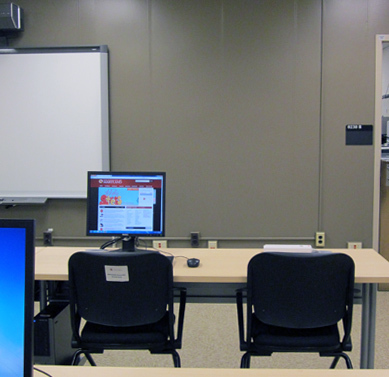 The computer lab, located in room 0230 Benjamin, is available during computer lab hours either as an open lab for student use or on a reservation basis for College of Education instruction. The complete list of available software and hardware specifications is maintained at DIT's Instructional Facilities site. We also offer several stations in the lab for those that wish to bring their own computer.